Converse shoes are a comfortable and fashionable accessory for any wardrobe, regardless of age or gender. 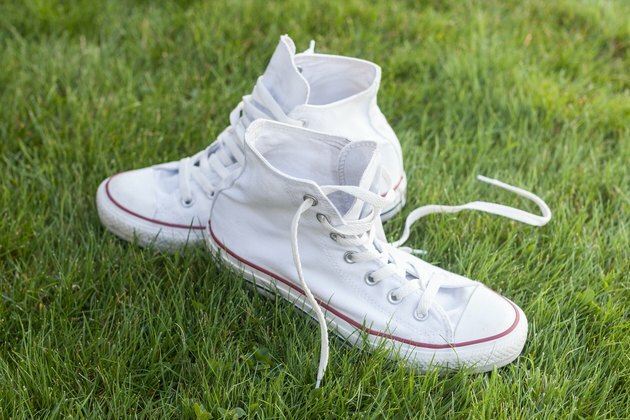 Converse, also known as Chuck Taylors, can have a long life with proper care since they are so durable. 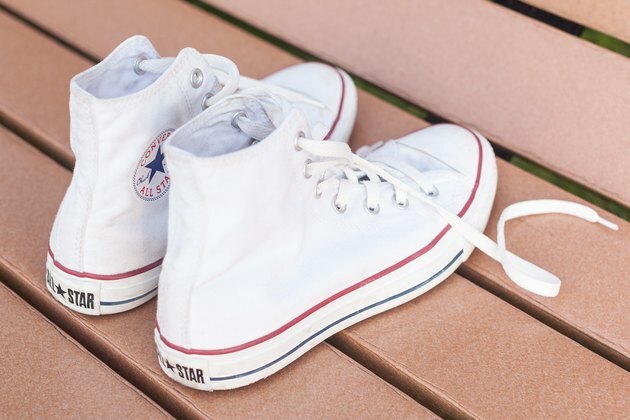 Along with regular cleaning, Chucks can be waterproofed to ensure they last longer. 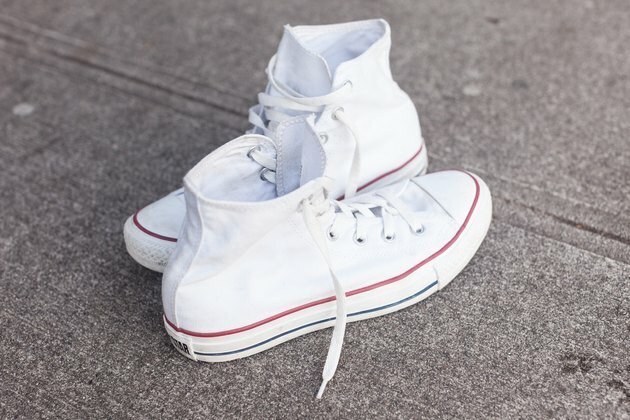 There are a few things to keep in mind if you would like to waterproof your Converse shoes. Buy a fluoropolymer-based product to waterproof your Converse. Fluoropolymer-based products are best for canvas. Sprays are easiest to apply, like Thompson's WaterSeal Sport Seal. 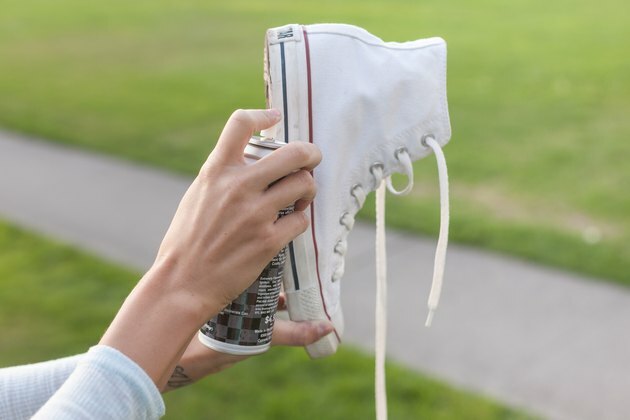 Clean your Converse thoroughly before applying any waterproofing products. Wash your shoes in the washer and let them air dry. 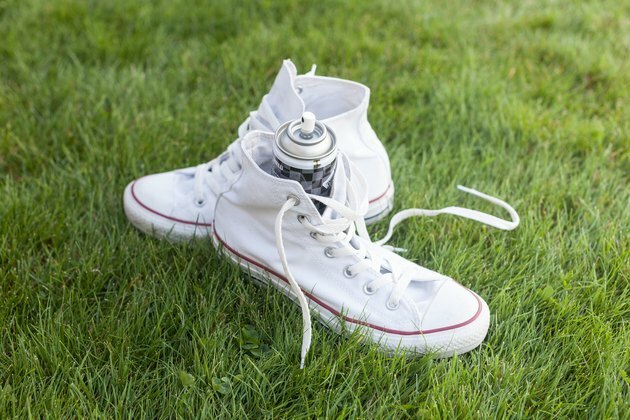 Set up an area outdoors to spray your Converse. Move or protect items from overspray that you do not want waterproofed. 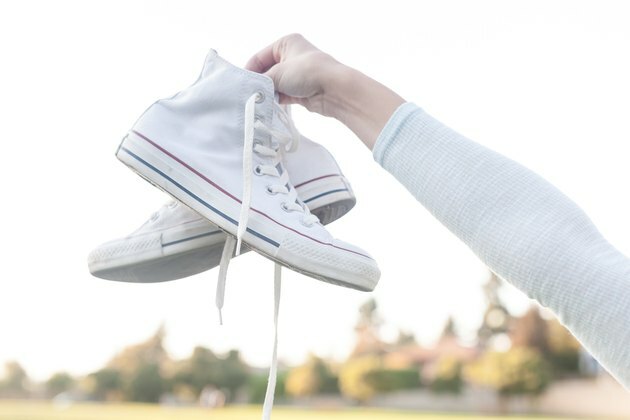 Perform a spot test on a small area of your Converse. This will ensure you will be satisfied with the overall appearance of your shoes once they are waterproofed. 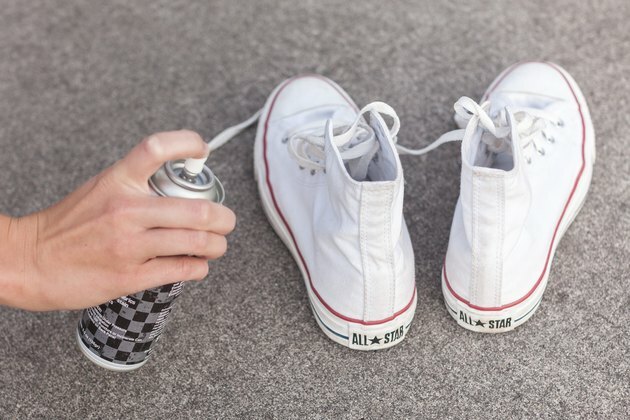 Apply the fluoropolymer-based spray to your Converse. The product should be between 6 to 8 inches away while spraying the shoes. Coat the surface, but do not oversaturate the canvas. Dry your Converse before reapplying the product a second time. Wait four hours, then spray the shoes again for the best results. Dry shoes for 24 hours before exposing to water. Reapply the waterproofing product with each cleaning. Silicone-based products are not recommended with canvas because it may break down the material of the shoes. The spray should be used outdoors because of dangerous fumes. Do not use fluoropolymer-based products near a heat source. Do not smoke while applying the product to your Converse.